Change is hard, we get it. 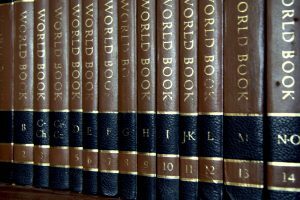 Remember when research used to be done by scouring through a set of brown and gold encyclopedias that you’d have to hope were still relevant? Who even has the shelf space for something like that anymore? While I miss the feel and the smell of those old pages, hopping online to find information is not only quicker and easier, but truly up to date almost to the millisecond. The same goes for contact centres. Where they were 20 years ago is not where they are now and if you haven’t already migrated to the cloud, you’re about to become as obsolete as those leather-bound-data-books. Nobody wanted to take a leap into the online world and now we can’t live without it. And while migrating your existing contact centre to the cloud can be challenging, Amazon Connect makes it easier. Here are some tips of the trade to help you get started. Step 2 – Assess: Conduct and assessment of existing technology and business objectives. Step 3 – Determine: Consider what you are doing for Advanced Automation, CTI, Workforce Optimisation, and Reporting. Step 4 – Evaluate: What is your vision for the customer experience? Are there features or services from the AWS portfolio that might fit your needs? Step 5 – Justify: Build a TCO and ROI model that demonstrates the benefit of the cloud to your bottom line. Step 6 – Build a Roadmap: Make a detailed plan for quick wins to justify the expanded investment. Step 7 – Consider the Customer: Evaluate user design and ensure that what you are building aligns with best in class. Step 8 – Proof of Concept: Verify the process as well as test out the performance of Amazon Connect. Step 9 – Optimisation: Create a systematic approach to evaluate performance on an ongoing basis. Step 10 – Support: Establish a comprehensive service agreement for ongoing optimisation and support. While this may seem a bit overwhelming, so was dial up internet. With so many moving parts, the key to a successful migration is to find the right partner. VoiceFoundry will guide you, work with you to create a plan, and help you make the move to the newly launched Amazon Connect. Contact us for more information today.